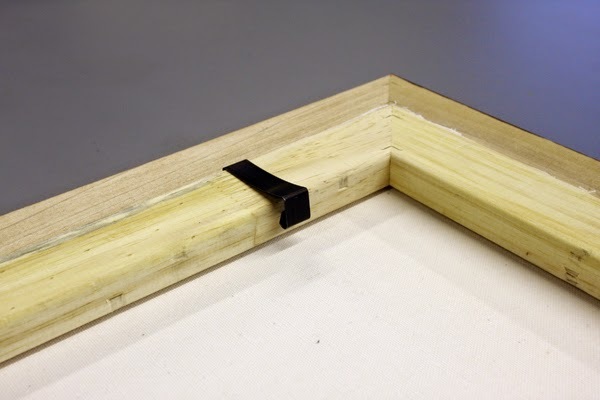 What do you do when your canvas stretcher sticks out the back of the frame? How do you attach it to the frame? Follow along with Mike as he guides you through the process of attaching your canvas to a frame with a rabbet that is too small. Read More. one of the best post. Drill a little pilot gap at each blemish on the casing and stretcher. Alert Do not penetrate through the edge or stretcher bar. Set your balance cuts over the gaps and screw them down. Hang your completed the process of confining and you are finished. lower than the back of the casing just as for connecting cloth liners. my essay writing finding Canvas Clips .please send me more detail about canvas clips Preference over nailing the canvas' or liner to the casing or utilizing designer's focuses is that the counterbalanced clasps are effectively removable while re framing.